I love chocolate. I have lots of lovely memories growing up with Uncle Charlie, whose sweet shop in Ridley Road, Dalston in East London was legendary. My experience was not quite Willy Wonka and eating chocolate was definitely a treat. Mum, who was a dental nurse, restricted my consumption of chocolate & sweets, and I have her to thank for no fillings! 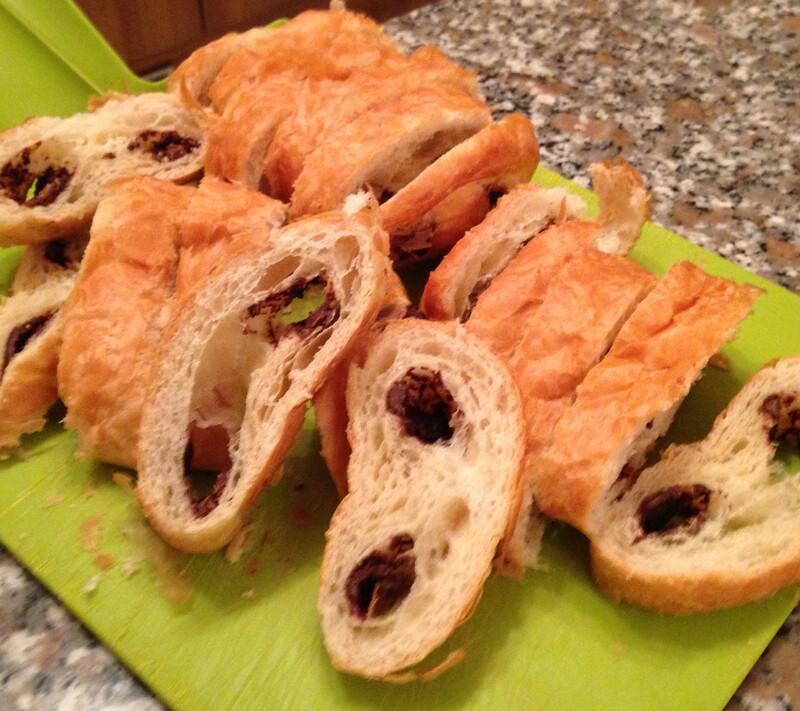 As it’s Chocolate Week I decided to make my Pain au Chocolat Pudding, a chocolatey dessert that’s easy to make. Butter a deep round dish and add layers of sliced Pain au Chocolat scattering with a few chunks of milk chocolate in between. Bake for 20-25 minutes until top crispy, and custard set. 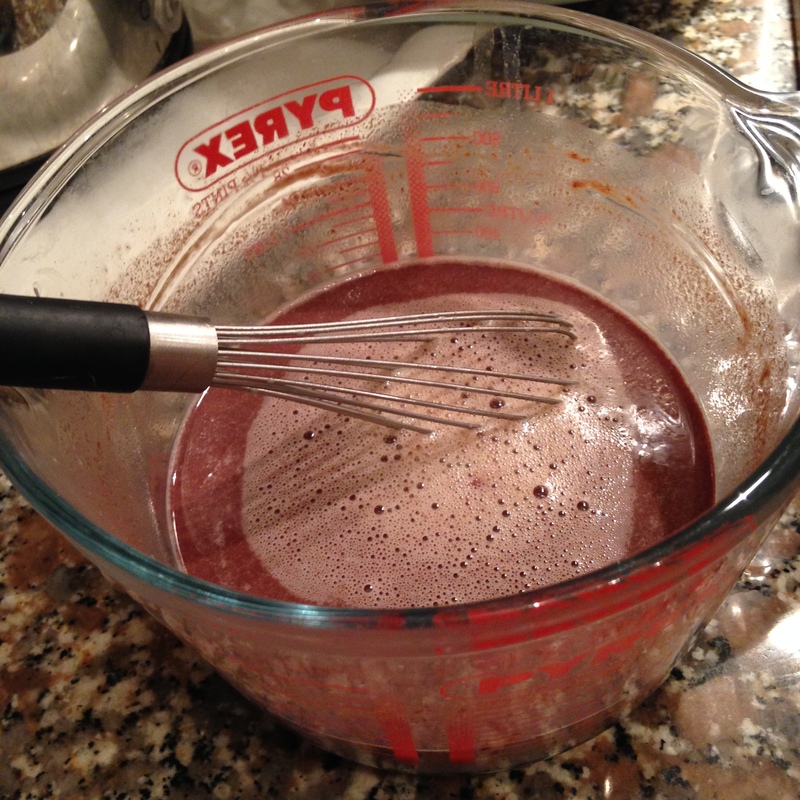 Serve warm – chocolate lovers delight! 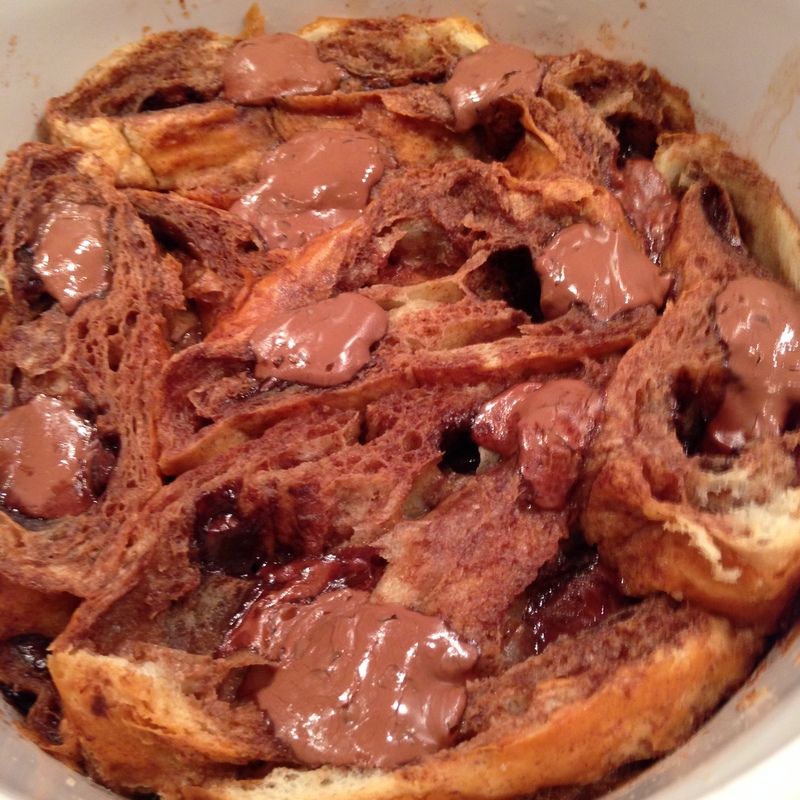 Pain au Chocolat Pudding – warm & gooey!